Virtually all nations have either a coat of arms or an official emblem. The Humanist Republic of Mordan will have an emblem, which is shown in the picture above. The blades of the swords are silver, and the handles are gold. 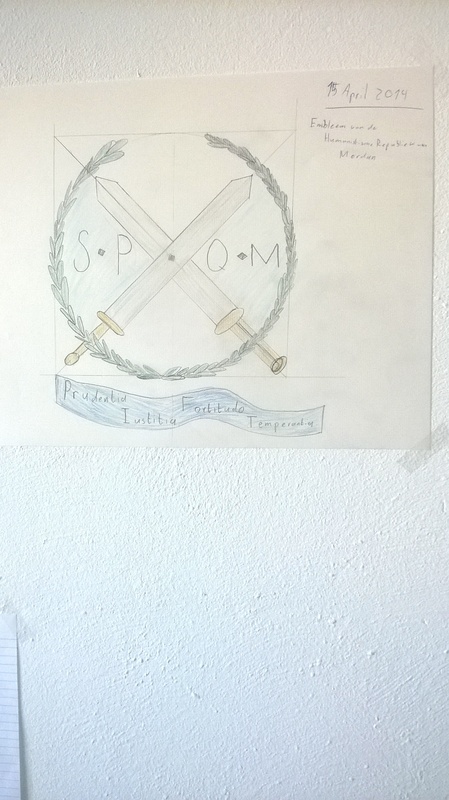 The letters SPQM stands for Senatus Populusque Mordanus – the Senate and People of Mordan. The “pizza-slices” with SP and QM are light blue.